Mansfield Drug Co. has been serving the health needs of the DeSoto Parish since 1964. We offer medical services like free home delivery and flu shots and immunizations. 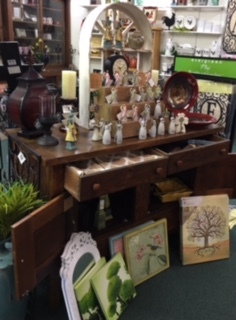 We also have a wide range of home goods in our gift shop like perfume, candles, jewelry and other great items for the home. "We have been using Mansfield Drug for 10-12 years now, They are the most friendly, helpful, and truly caring pharmacy I have used. The staff is always smiling and they treat you like family. Always find not only prescription needs but the gift section is a great place to pick up some unique gifts for practically any occasion. If you are looking for a hometown pharmacy check 'em out."